The black beast of the skies, the B-2 stealth bomber is a staple of the modern air force fighting fleet. Take home a stunning image of this world renowned plane with the stylish and comfortable Stealth Bomber T-Shirt. Printed on a cotton Poly Blend T-shirt this wrap around design and printing process ensures not only a unique and vibrant design but a great fitting and feeling t-shirt. Those who are fans of aeronautical engineering will be familiar with this titan of warfare. 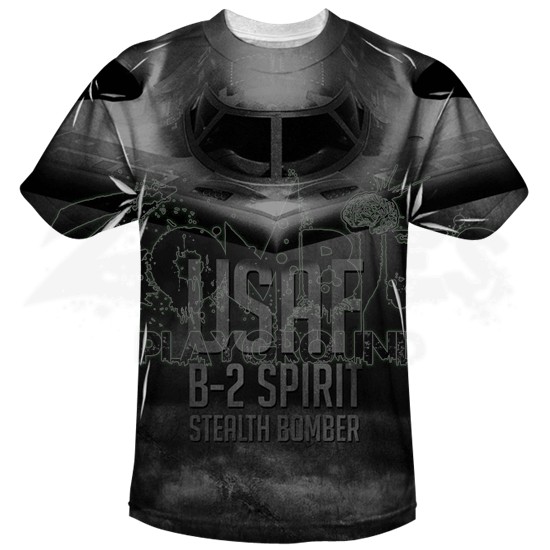 Show your love of air superiority and grab a Stealth Bomber T-Shirt today.